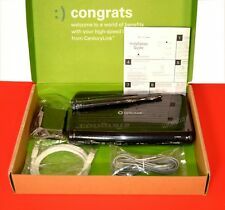 USED CENTURYLINK ACTIONTEC C2000A 802.11N MODEM. Includes: C2000A Modem, Power Adapter. It features dual VDSL2 bonded ports that provide twice the VDSL bandwidth (12a/12b profile) over comparable single-line models. The NexusLink 3101 supports ADSL2 fallback (single line and bonded) when connected to an ADSL2 DSLAM. 1 YEAR WARRANTY. POWER SUPPLY. CORDS. 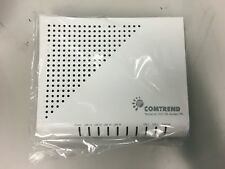 Frontier Netgear Model D2200D ADSL2 Modem / Router D2200D-1FRNAS- NEW. Condition is New. Shipped with USPS Flat Rate padded envelope. Please see pictures before purchase. Thank you for your interest. SEE PICTURES FOR MORE MODEL INFO. THIS IS IN GREAT CONDITION. Actiontec C1000A 300 Mbps 4-Port Gigabit Wireless N Router. Condition is Used. Shipped with USPS Priority Mail. Actiontec Wireless N DSL modem/router - model GT784WN. Shipped with USPS Priority Mail. New, open box! Comes as shown. Quantity listing with reference photo, you may not receive the actual item pictured. On hand and ready to ship!. Out of the box, the GT784WN gives you the flexibility and power your need to connect all of your wireless devices. With 802.11N wireless speeds and MIMO smart antenna technology, you'll be accessing the latest in wireless technology that lets you connect at heretofore unheard of speeds, with wireless coverage that eliminates all those pesky dead spots. WIRELESS SECURITY - One ADSL Port. - Four 10/100 Ethernet LAN. - 802.11 b/g/n. - 802.1x authentication. - TKIP, AES encryption. Order this item but it turned out it wasn't what I needed. Trending at $54.00eBay determines this price through a machine learned model of the product's sale prices within the last 90 days. NETGARE N600 WIFI CABLE MODEM ROUTER . Condition is Used. Shipped with USPS Priority Mail. THIS ITEM WAS TESTED TO ENSURE IT WORKED. Item has been password reset to factory defaults. Power Adapter included (may not be original but still works). This item is in great working condition. The latest firmware has been installed and it is ready to be used. This unit is in great condition. It features dual VDSL2 bonded ports that provide twice the VDSL bandwidth (12a/12b profile) over comparable single-port models. The NexusLink 3100u supports ADSL2 bonded fallback when connect to ADSL2 bonded DSLAM. Condition is Used. full rate ADSL modem. 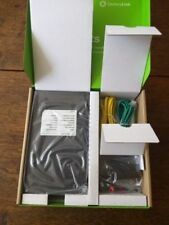 Includes one ethernet cable, a phone cable with RJ-11 modular connectors on both ends, one USB cable, power adapter, all in original box with instructions. Plug n Play installation with Windows or Mac. Manufacturer refurbished units, sealed in packaging. Shipped with USPS Priority Mail. Trending at $58.49eBay determines this price through a machine learned model of the product's sale prices within the last 90 days. (414) FIVE ZERO TWO - 9596. 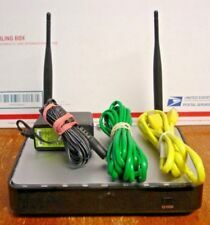 Actiontec router in excellent condition, Verizon compatible. 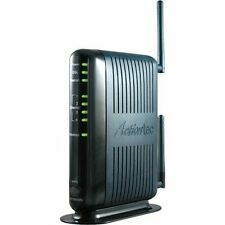 Actiontec 300 Mbps Wireless-N DSL Modem Router GT784WN. Condition is Used. Shipped with USPS Priority Mail. It features dual VDSL2 bonded ports that provide twice the VDSL bandwidth (12a/12b profile) over comparable single-port models. The NL-3100u supports ADSL2 bonded fallback when connect to ADSL2 bonded DSLAM. The picture below is copied from Amazon. This is not the password. This product integrates a DSL modem build Wireless networking and routing capability all in one box. Tested it and it powers on.